This 18-page Skip Counting By 2 Flipbook has interactive math flipbooks for students to create and practice skip counting by 2s. These are engaging math books to make as a center activity, or as an extension to your math lesson. 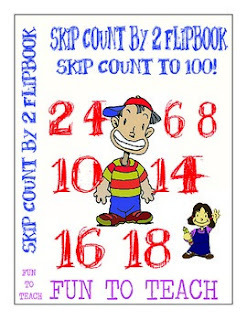 This is an engaging way for students to practice their math numbers and share their knowledge with family and friends.